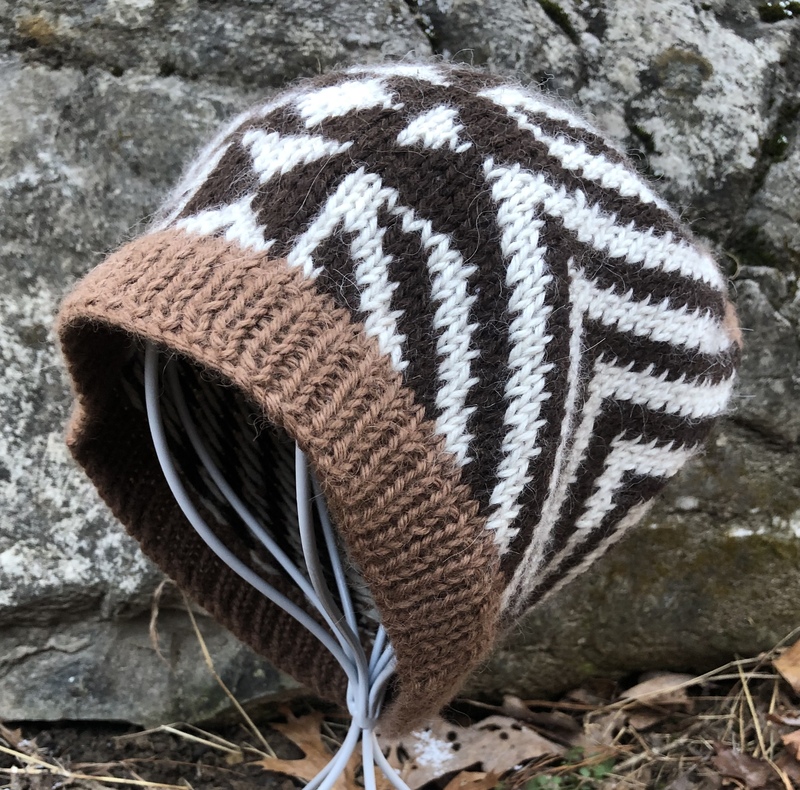 This cozy hat features a ribbed brim and geometric stranded color work motif. Worked in the round from the bottom up using 100% alpaca yarn, it’s the ultimate in softness and warmth! Inspired by my family’s Native American roots, this design celebrates the beautiful geometric patterns found in Native American artwork. Sized for adults in S/M (M/L). To fit a 21 (23)” / 53.5 (58.5) cm head. Because 100% alpaca yarn is so stretchy, this hat is designed with 2.5” / 6.5 cm negative ease. Circumference: 18.75 (20.75)” / 47.5 (52.5) cm. Hat Height: 7.75 (8.5)” / 19.5 (21.5) cm. Color 3, #03 Bullrush, ~49.5 (65.75) yards / 45 (60) m.
8 stitch markers (1 unique, 7 matching), and a yarn needle. One set 6 US / 4 mm needles* (or size to obtain gauge in Desert Star color work pattern). One set 5 US / 3.75 mm needles* (or one size smaller than needed for gauge). One set of DPNs in size needed for gauge. *Use a set of DPNs, two circular needles, or one 16” / 40 cm long circular needle, according to your preferences for knitting in the round. 24 sts & 27 rnds = 4” / 10 cm on larger needles, worked in the rnd in Desert Star color work pattern and measured after wet blocking. Click here to purchase the pattern in my Ravelry shop.